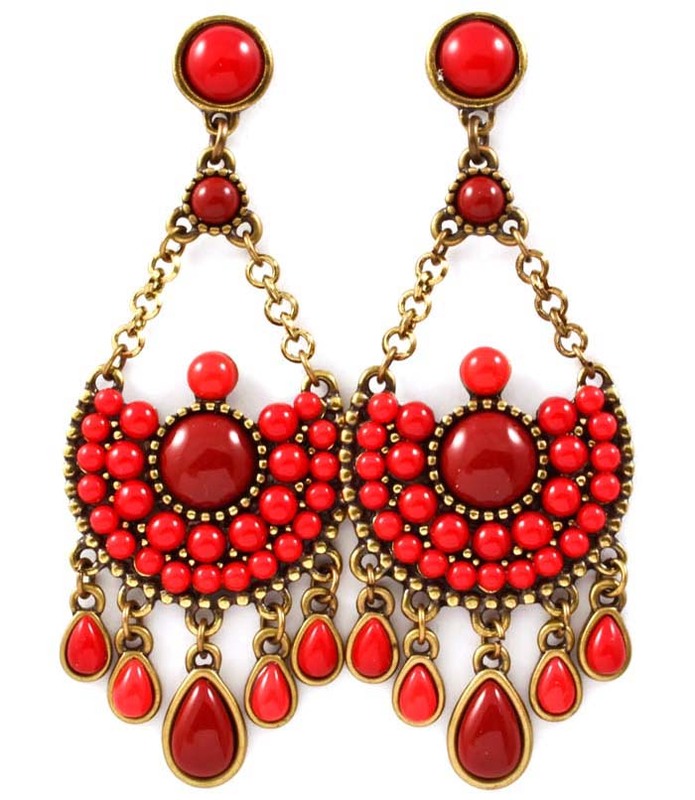 For the girls' with gypsy hearts, the Swara Indian Earrings feature antique gold chain and paprika red cabochon beads set onto a half-moon disc dripping in teardrop pendants. Garnish your look with some spice! Buy this high quality but cheap fashion jewellery piece from our online shop today.